The Satellite Applications Catapult is an independent innovation and technology company based in Harwell, near Didcot, Oxfordshire, the company was created in May 2013 by Innovate UK (formerly known as the Technology Strategy Board) to foster growth across the economy through the exploitation of space with the development of satellite applications. 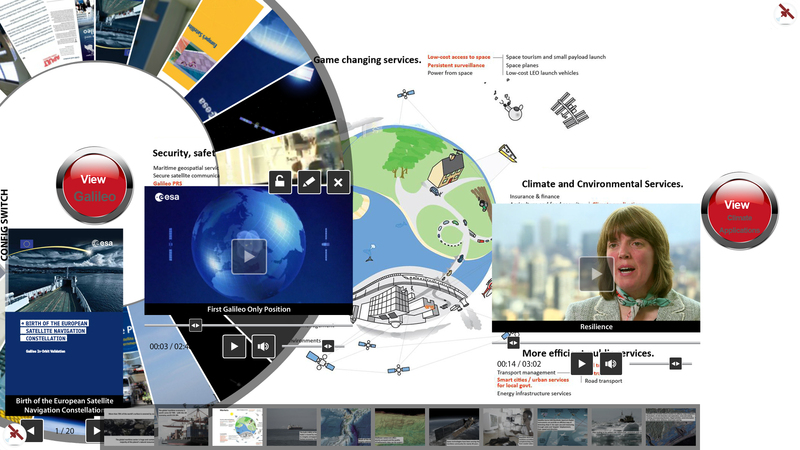 The Satellite Applications Catapult help organisations make use of and benefit from satellite technologies, and bring together multi-disciplinary teams to generate ideas and solutions in an open innovation environment. 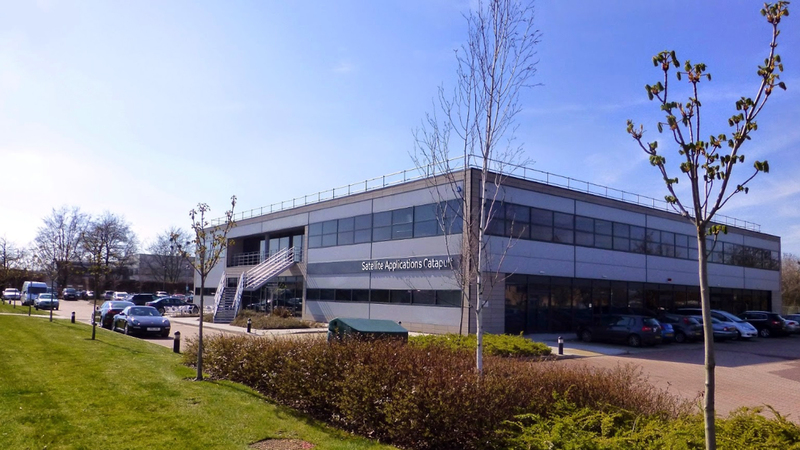 The Catapult was established as one of a network of centres to accelerate the take-up of emerging technologies and drive economic growth. And they provide facilities, platforms and expert knowledge to enable the translation of ideas from concept to market. 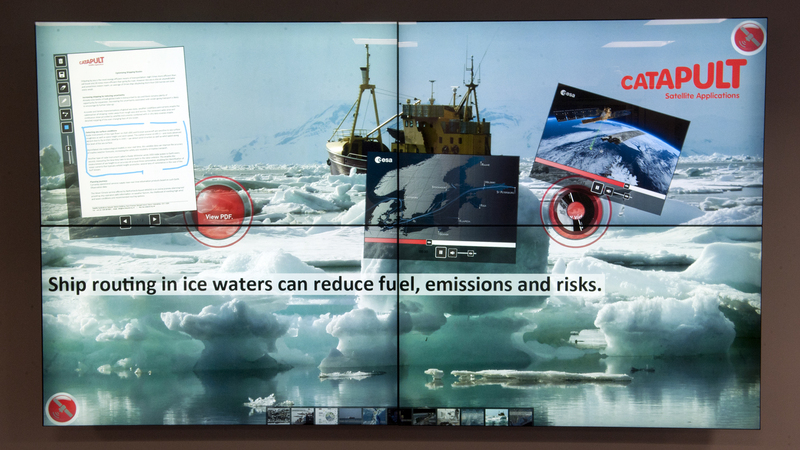 Touchez was asked to create a multitouch presentation package solely focused on the Maritime satellite technology re-using some of their existing media. We researched this sector extensively and gathered various data and media related to the Maritime satellite technology and built a configuration with a Natural User Interface to browse through and interact with. The benefit of multitouch software like this compared to a Power Point presentation is that it is much more intuitive and allows the user to set its own path as opposed to a pre-designed non interactive slides route. The multitouch software has the capability to display various types of multimedia such as PDF documents, pictures, audio and video to be displayed inside one window, and at the same time allows multiple users to interact with it in a collaborative environment. The original application which was finalised in 2014 was upgraded to a 4K multitouch standard in the summer of 2015. According to Karen Rogers Head of Marketing and Communications at Satellite Applications Catapult: “Touchez has developed an interactive demo using some great technology of the future. 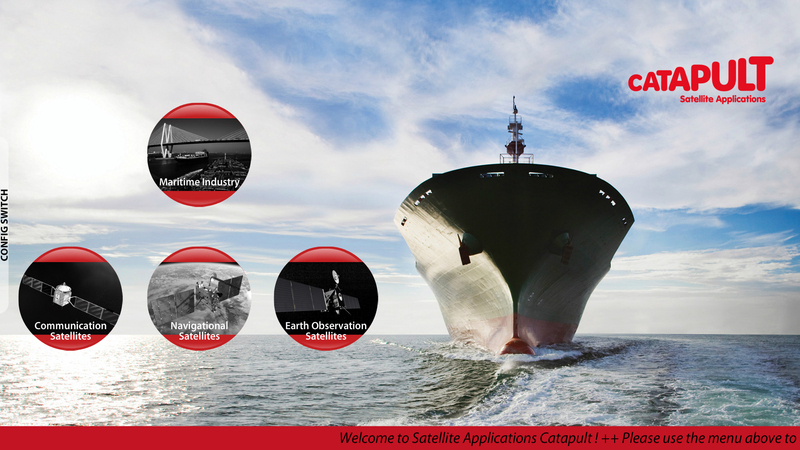 The initial request was to develop a simple demo that showcased the benefits satellites provides to the maritime sector, using Earth observation, communications and navigation data. 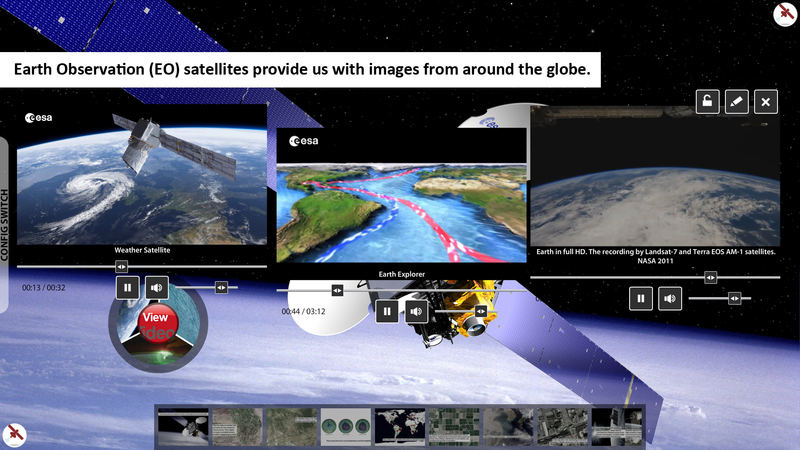 Touchez’s technology provided that and more, the software’s ability to include videos, whitepapers and imagery is an impressive easy-to-use platform that enables people to look for the information they require in their own time, as well as providing a great tool for demoing the benefits satellites bring to us here on Earth. The demo definitely ‘wows’ our visitors.